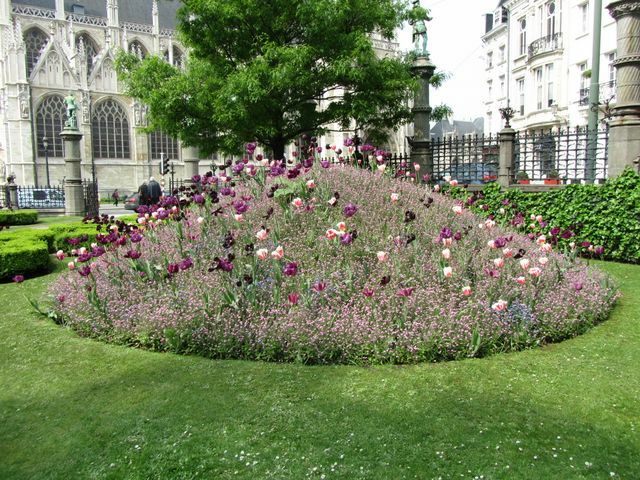 Situated between the Rue de la Régence and Egmont's palace, the public garden faces the magnificent church of Our-Lady of the Sablon. 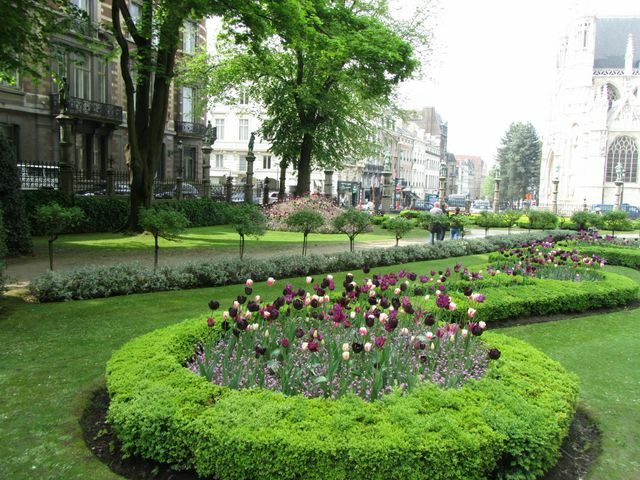 The Law court, the Place Royale, the Oldmasters Museum and the Modern Museum are nearby. 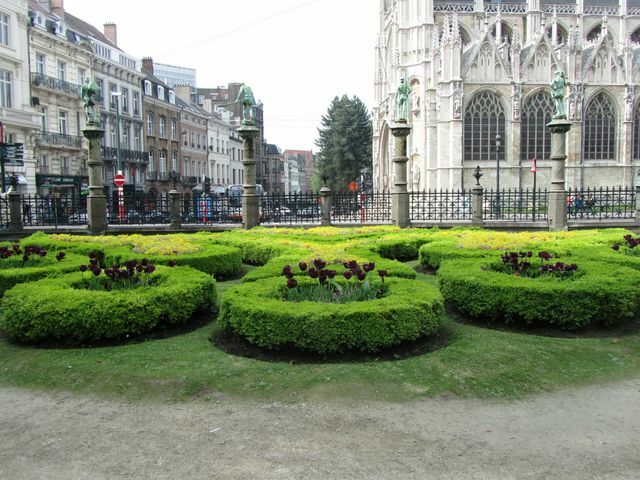 The Petit Sablon Square is surrouned by Gothic columns with little bronze statues on top. They represent the ancient professions. 48 professions are illustrated in this way. Four statues are crowned: the masons, the stone-cutters, the sculptors and the slate-quarry workers. 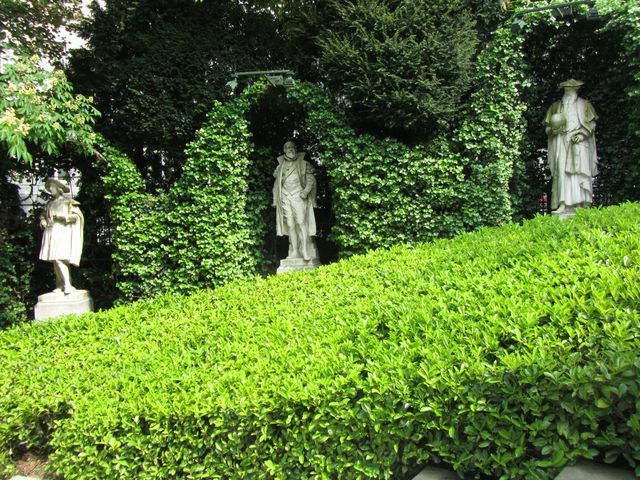 On a small height, a monument and 10 big statues can be found. 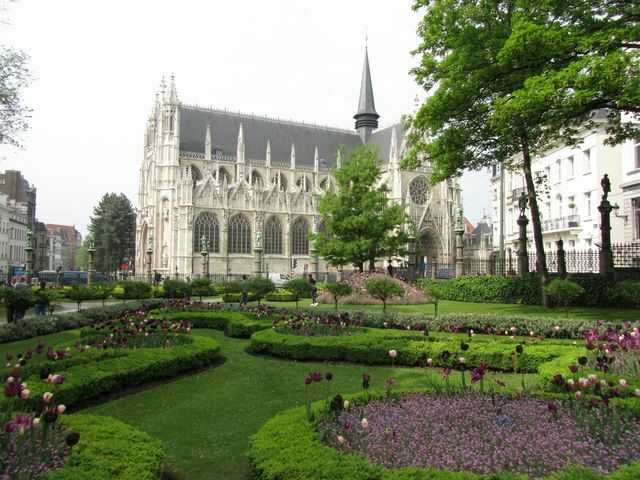 The monument, of Flemish neo-renaissance style, was realized by Fraikin in 1864. 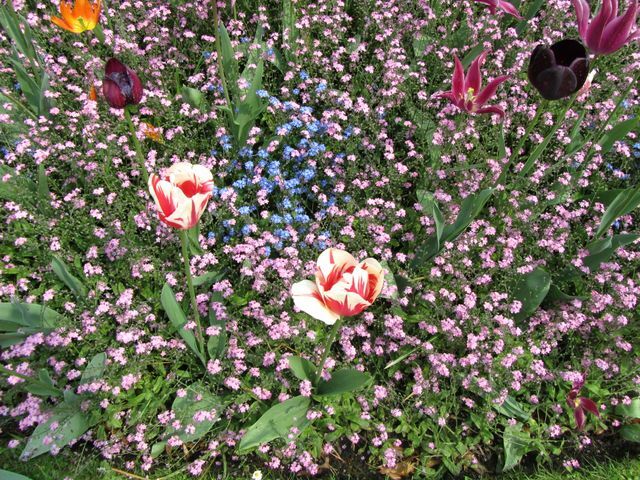 It represents the counts of Egmont and Hornes who were executed on the scaffold on 5 June 1568 because of their resistance to the Spanish tyranny. 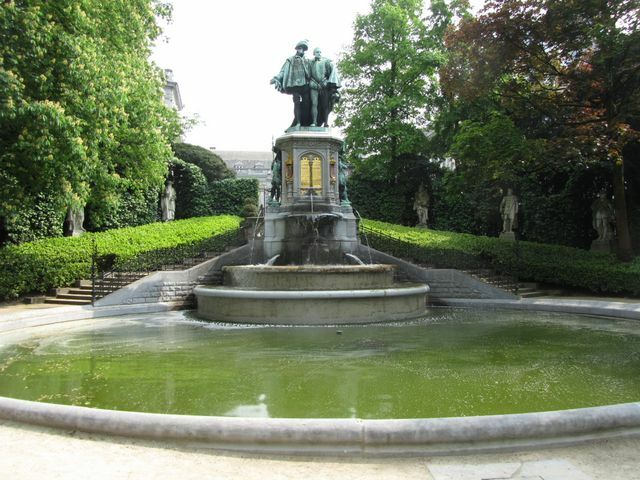 The monument had been set up on the Grand-Palace at first, in front of the Maison du Roi, the place of the execution. 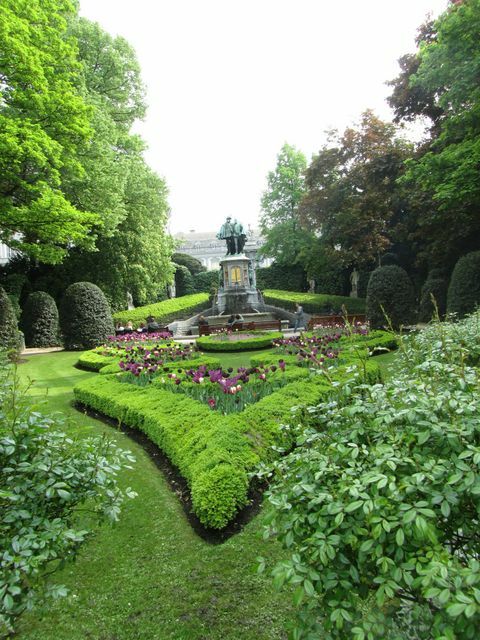 It was transferred to the Petit Sablon in 1879.